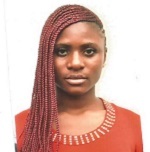 In year 2018, Working to Advance STEM Education for African Women (WAAW) Foundation, announced her annual scholarships program to students who demonstrate financial need and prove their status as full time students in Science, Technology, Engineering and Mathematics (STEM) related course in an African University. The initiative is aimed at supporting need based African female STEM-focused college education and establishing Science, Technology, Engineering and Mathematics (STEM) outreach chapters at various higher institutions across Africa where the scholars are registered as an undergraduate. We are pleased to announce and welcome these outstanding and passionate young women in STEM as members of the 2019 Scholarship award recipients. My name is Rachel Ogbidi, a native of Okundi, Bokyi Local Government Area of Nigeria. I am a student of the University of Port Harcourt studying Chemical Engineering in my second year. Chemical engineering is a very financial demanding course, ranging from money for test books, practical materials, safety wears, researches, just to mention a few. And it has really been a problem making ends meet because my mother is a civil servant and my dad, a pensioner but WAAW Foundation came to my rescue. I am a beneficiary of WAAW Foundation. I can only believe that WAAW Foundation is God-sent, it is a career illuminator; WAAW Foundation has made my dreams a reality. I am really grateful for the opportunity this organization is giving to young girls in STEM, God bless the good work. 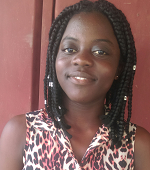 I am Joana Akua Opoku, a third year Doctor of Pharmacy student at the Kwame Nkrumah University of Science and Technology in Ghana. I am a purpose driven Ghanaian woman. Knowing who I am as a woman and having a firm understanding of the feminine creature is what motivates me everywhere I find myself. Many women from the society I come from continue to live their lives according to society’s status quo for women without realizing how much potential they have in them. I believe that once the African woman discovers and understands her purpose, she would break all odds in every sphere of her life, and this includes STEM education. It has been my passion to help and guide younger females discover their purpose as well as the great potential they have in them. I see this vision and passion being made a reality with WAAW Foundation. Thank you WAAW Foundation for this great opportunity. This scholarship would not only make my tertiary education easier, but it will also afford me the avenue to make impact to my society. My name is Ntui Mercy Tong and I am the last born of my parents. I am from the Republic of Cameroon precisely from the South West Region. I am 19 years old and a second year student at the University of Buea; I major in Electrical and Electronic Engineering. I lost my dad at the age of 9, hence my mum has been the one taking care of me and my siblings. For almost 3 years now, there has been a crisis in the two Anglophone regions of the country which has led to burning of villages, schools, hospitals and so on. These actions have caused an involuntary end to many people’s education and source of income; For example my mother’s source of income which came from selling food in a private primary school has been hindered. But as the fighter she is, she still manages to provide for the basic needs. I thought to help her out by looking for available scholarships online before I came across the WAAW foundation; after much research about the foundation, I discovered it was a means of empowerment for females who share almost the same story with me. I aim at promoting Dr. Unoma Okorafor and her team’s wonderful initiative in my community by serving as a role model and inspiration to other girls just as Dr. Unoma Okorafor has been to me. I promise to uphold the WAAW foundation academically, morally and socially. My name is Ojolo Simileoluwa Johan, born 16th of August, 2000. Born into a family of four. I attended Saphir Private school at the primary level and the International School, University of Lagos at the secondary education level. Few months after graduation, I gained admission to study Civil and Environmental Engineering at the University of Lagos in 2016. As at 2019 I’m currently a 300 level student at the University of Lagos, Nigeria studying for a bachelor’s of science degree in civil engineering. As a woman, I want to be a force to reckon with in the area of civil engineering in Nigeria which is a male dominated qualification. It is no more news that women are often sidelined in the field of engineering in sub Saharan Africa, and this is large as a result of the orientation passed along from many years that only men should do the heavy tasks. This is evident in the fact that many parents buy dolls as toys for their girl child while boys are given little machines and tools to play with. 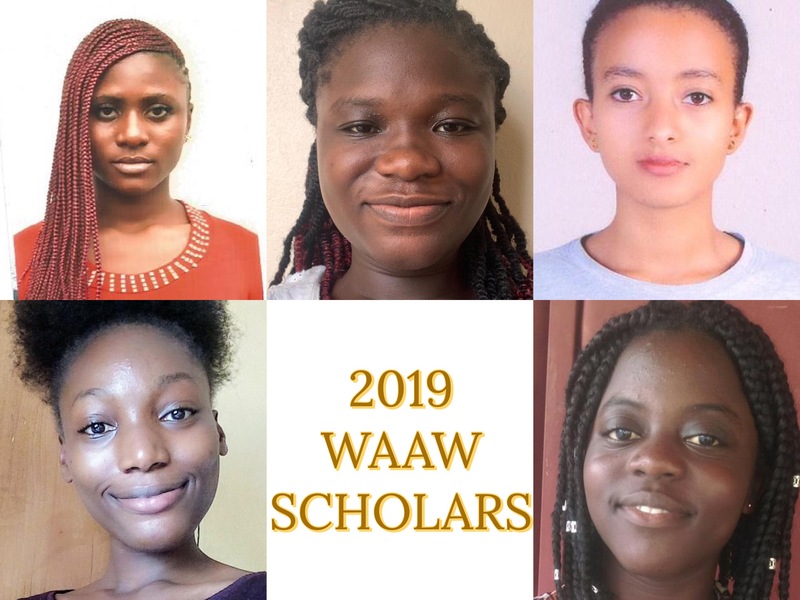 The WAAW foundation scholarship will provide a framework for me to learn from the team at the foundation and also enhance my knowledge in becoming an impact leader that creates positive change for women in Africa especially in the area of science and engineering. As a recipient of the WAAW foundation scholarship, I wish to be an ambassador towards implementing the foundation’s values mission and vision for African women. I am Tigu Woldetsadik. I grew up in a big family having two sisters and two brothers. My father was a hard-working person and he was the one who used to supply everything for our family. Four and a half years ago my father passed away which made everything worse for us. For as long as I can remember, it was really hard to fulfill the basic needs of each of my siblings’ needs rather than my father’s saving, since there was no one left who will support our family. After I joined University also, this question was not answered. Since my family was barely affording the cost of my expenses in each month, I used to worry very much in every little expense of the day. And that has affected me not to properly attend my classes and do good in my results. This was the very thing thatmost of the time hold me not to dream big. But now getting this opportunity was a big relief not only for me, but for my family also. Because it will cover the fee, I needed to continue my education. Therefore, I can boldly say that WAAW foundationhas given me a hand in making my dreams come true. I feel very lucky to get this chance and be part of this scholarship which has an aim to empower girls and make them competitive with boysand be a change agent in their surroundings. Afterall, to bring a change, we need to be the change, and I believe this scholarshipwill help me take a step to be that change my country needed,which will motivate others especially girls, to bring their potential out and see a dynamic change in my country as a whole in the future ahead. For them, I also believe my story will be encouraging to know and it will definitely help them see beyond everything that holds them today. Now, I am a third-year civil engineering student in Mekelle University, Ethiopia. And I see myself playing my role in development of my country.